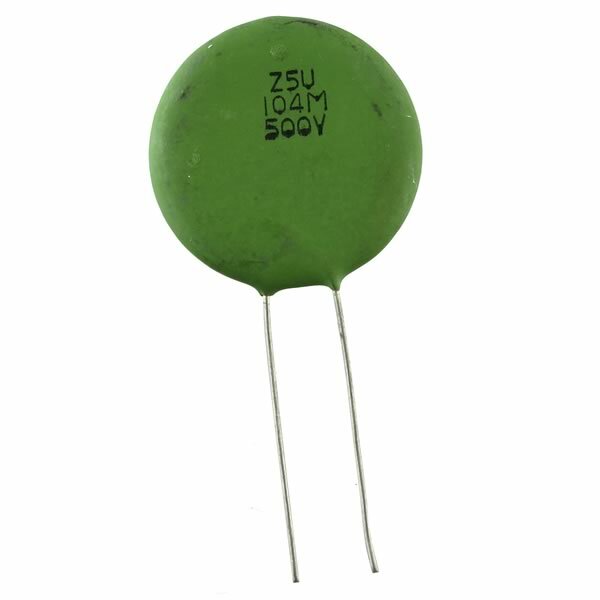 0.1uF 500VDC ceramic disc capacitor measures 0.96" diameter x 0.13" thick. Has full length straight leads. Marked Z5U 104M 500V. Sold in a package of 10.